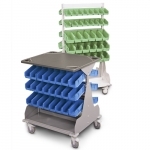 Innovative nurse server maximizes comfort and convenience. 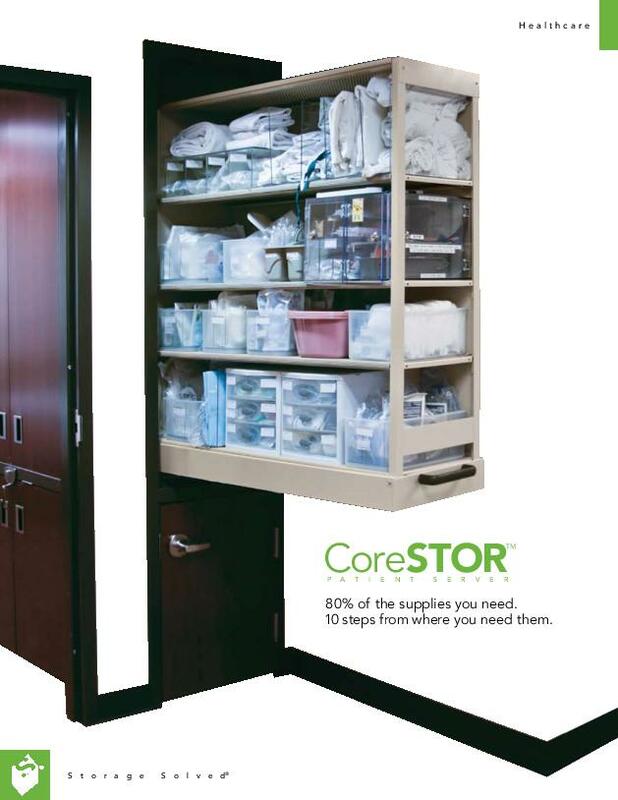 The CoreStor Nurse Server builds a nurse station right into every patient room, maximizing comfort and convenience for patients and nursing staff while yielding more usable space per floor. 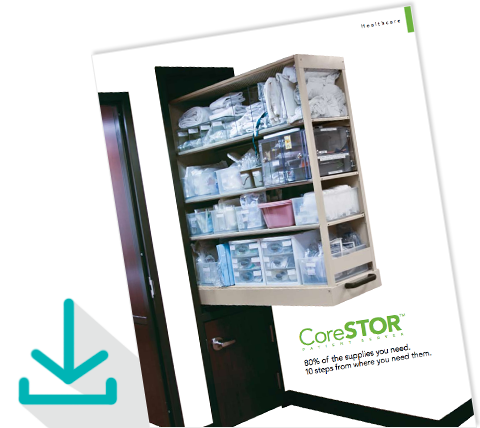 CoreSTOR is stocked from the hallway and accessed from inside patient rooms, allowing nurses to spend less time looking for supplies and more time caring for patients. 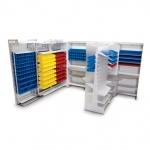 CoreSTOR extends fully outside the room and into the corridor for easy stocking, and the unit’s patented pull-out shelving provides complete access for increased efficiency. 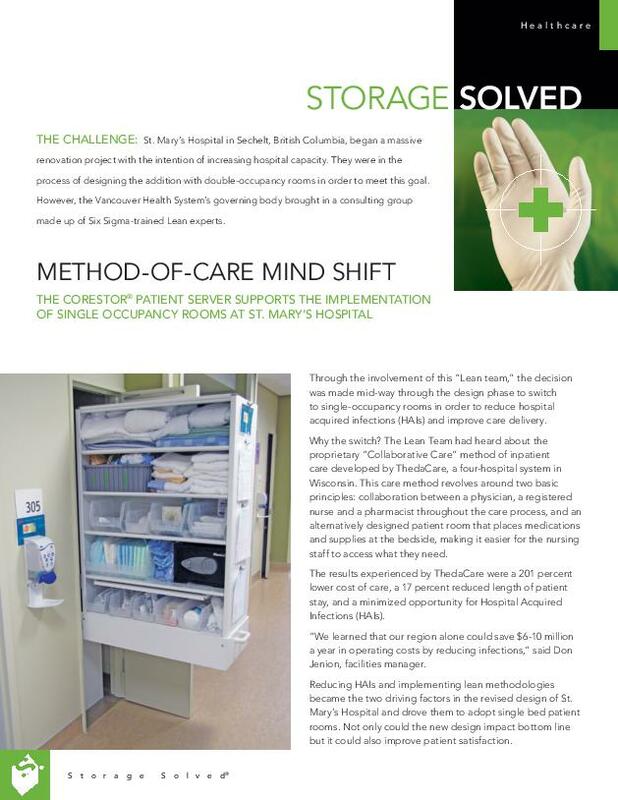 By stocking the nurse servers from the corridor, staff can minimize patient room traffic, patient exposure, and interruptions. 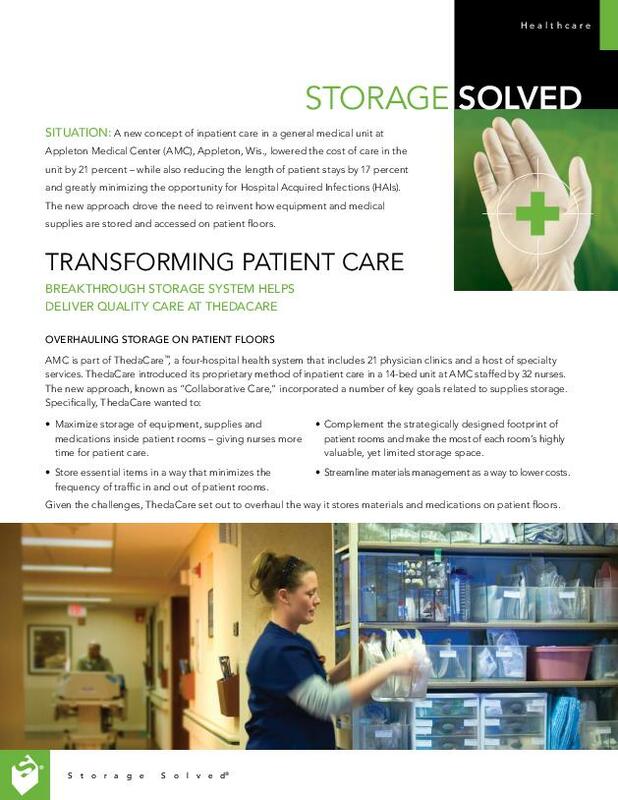 Inside the patient room, the stocked nurse server is only a few steps from the patient bedside — and that means nurses can keep the focus on patient care, rather than repeatedly having to leave the room to find and retrieve supplies. 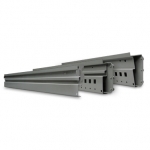 Your local Spacesaver affiliate can assist with project design, as well as CoreSTOR installation, staff training, and ongoing maintenance. 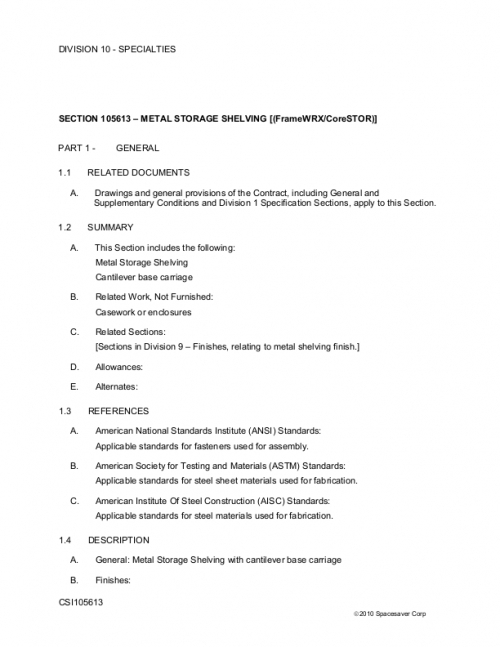 Are you spending too much time struggling with medical supply storage? 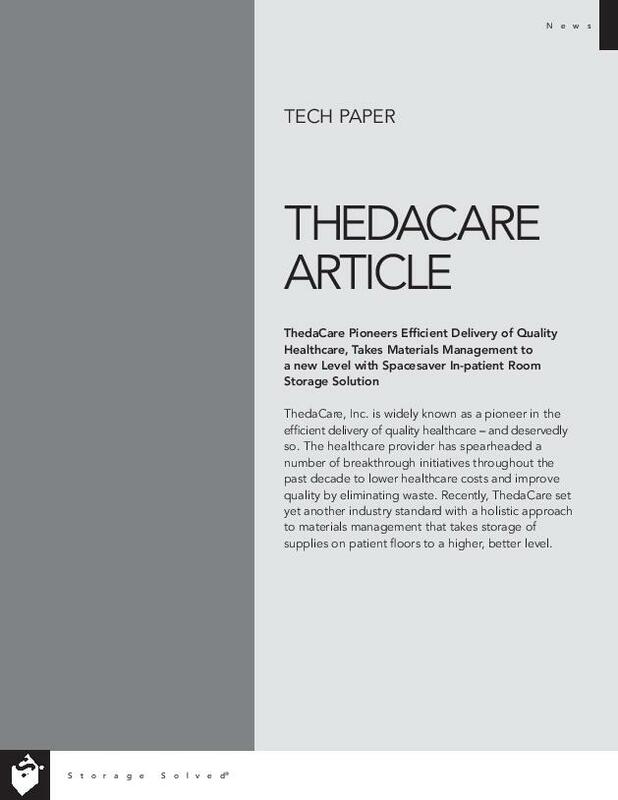 See how you can maximize your patient care with our nurse server.